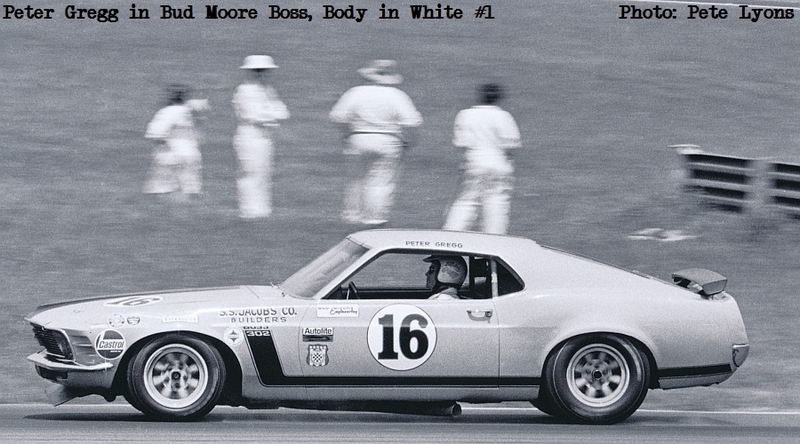 This is Bud Moore Boss, Body-in-White #1. 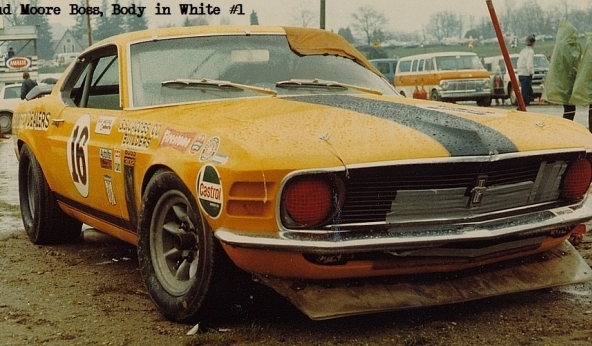 This chassis was built by Bud Moore from a Kar Kraft shell, and was driven by Peter Gregg in the 1971 Trans-Am season. 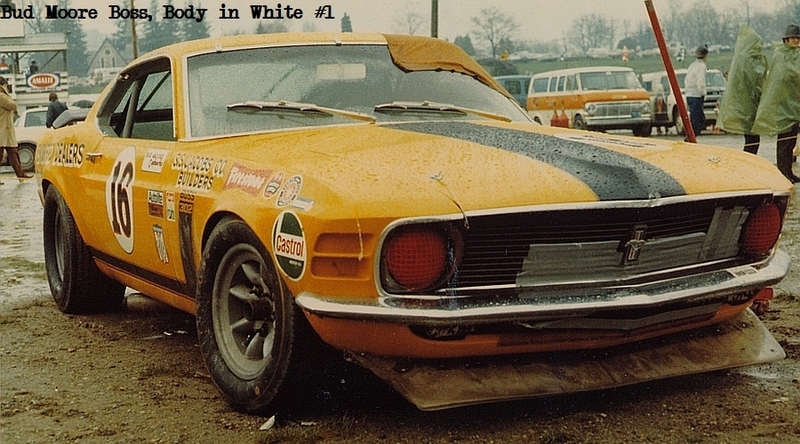 This chassis, with Peter Gregg driving, had several podium and top five finishes in the 1971 Trans-Am season. 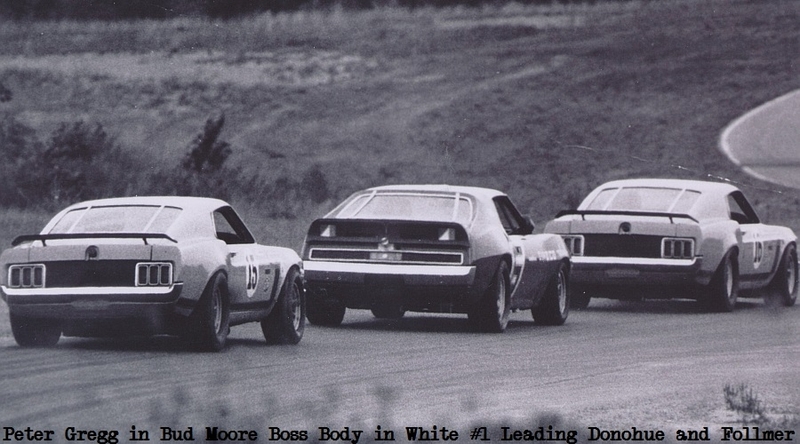 Following the 1971 Trans-Am season the car was sold to J. Marshall Robbins. 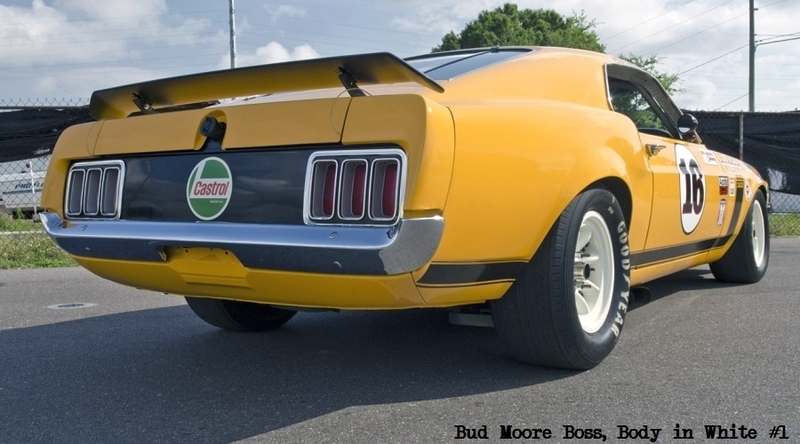 This car has been very nicely restored to it's 1971 livery.